Much of Bressoud’s work involves putting math into a historical context. He is also interested in issues of science and religion. Bressoud has been the director of Macalester’s program “Quantitative Methods for Public Policy,” an interdisciplinary initiative involving the sciences, social sciences and humanities, and teaches the course “Quantitative Thinking for Policy Analysis.” He also serves on the board of the National Numeracy Network which promotes education that integrates quantitative skills across all disciplines and at all levels. He served in the Peace Corps, teaching math and science at the Clare Hall School in Antigua, West Indies, before studying with Emil Grosswald at Temple University and then teaching at Penn State for 17 years, eight of them as full professor. St. Paul, Minn. – Professor David M. Bressoud, DeWitt Wallace Professor in the Mathematics and Computer Science Department, has been elected president of the Mathematical Association of America (MAA). He will become president-elect next year and assume his post as president in 2009 for a two-year term. The Mathematical Association of America, headquartered in Washington, D.C., is the largest professional society that focuses on mathematics accessible at the undergraduate level. Members include college and university faculty; mathematical scientists in industry and government; graduate and undergraduate students; teachers; and others in fields related to mathematics. 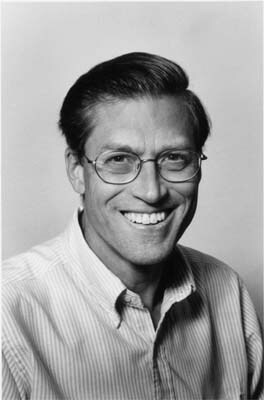 Bressoud is an international authority in the area of analytic number theory. He received the MAA Distinguished Teaching Award (Allegheny Mountain Section), the MAA Beckenbach Book Award for Proofs and Confirmations and has been a Pólya Lecturer for the MAA. He is a recipient of Macalester's Jefferson Award and has published over 50 research articles in number theory, combinatorics, and special functions. His other books include Factorization and Primality Testing, Second Year Calculus from Celestial Mechanics to Special Relativity, A Radical Approach to Real Analysis (now in 2nd edition), and, with Stan Wagon (professor in the Mathematics and Computer Science Department), A Course in Computational Number Theory. His latest book, A Radical Approach to Lebesgue's Theory of Integration, is due out by the end of 2007. Much of Bressoud’s work involves putting math into a historical context. He is also interested in issues of science and religion. Bressoud has been the director of Macalester’s program “Quantitative Methods for Public Policy,” an interdisciplinary initiative involving the sciences, social sciences and humanities, and teaches the course “Quantitative Thinking for Policy Analysis.” He also serves on the board of the National Numeracy Network which promotes education that integrates quantitative skills across all disciplines and at all levels. Bressoud has been at Macalester since 1994 and received his B.A. from Swarthmore College and his M.A. and Ph.D. at Temple University. He chaired the Department of Mathematics and Computer Science at Macalester from 1995 until 2001. He has held visiting positions at the Institute for Advanced Study, the University of Wisconsin-Madison, the University of Minnesota, Université Louis Pasteur (Strasbourg, France), and the State College Area High School. He served in the Peace Corps, teaching math and science at the Clare Hall School in Antigua, West Indies, before studying with Emil Grosswald at Temple University and then teaching at Penn State for 17 years, eight of them as full professor.